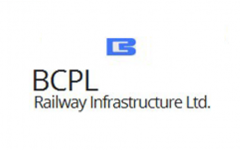 BCPL Railway IPO Description - BCPL Railway is engaged in the field of Railway Infrastructure Development involving design, drawing, supply, Erection and Commissioning of 25KV, 50Hz Single Phase Traction Overhead Equipment. The key clients of the company include various zones of the Indian Railways like Eastern Railway, South Eastern Railway, South East Central Railway, Northern Railway, East Coast Railway, North Frontier Railway, East Central Railway, Central Organisation For Railway Electrification (CORE) as well as large Public and Private Sector Undertakings like RITES Ltd., Durgapur Projects Ltd., Essel Mining Industries Ltd., Adhunik Group, Usha Martin Industries Ltd, Jindal Steel and Power Ltd., Rungta Mines, Haldia Energy Limited, Electrosteel and many more. The company started its business as a Civil Contractor for the Indian Railways but diversified into electrification in the middle of the 90’s. Ever since, the company has kept its focus on the Electrification sector of the Railways keeping in view the vast scope of work in the existing and the untapped areas. BCPL Railway IPO allotment status is now available on Bigshare Services' website. Click on this link to get allotment status.